Did you know it takes a minimum of about 8 years for an agave plant to reach maturity before it can be harvested for use in tequila, mezcal, agave nectar, and other products? Spirits like whiskey and scotch might be barrel-aged for a similar length of time but the crops needed to produce those spirits can be harvested in yearly cycles. The complex flavors of that mezcal in your glass come from the years the agave has spent in the ground.. growing and surviving. The agave business can extremely volatile when planning for a decade into the future due to the time investment of growing agave, which must survive amongst disease and natural pests. 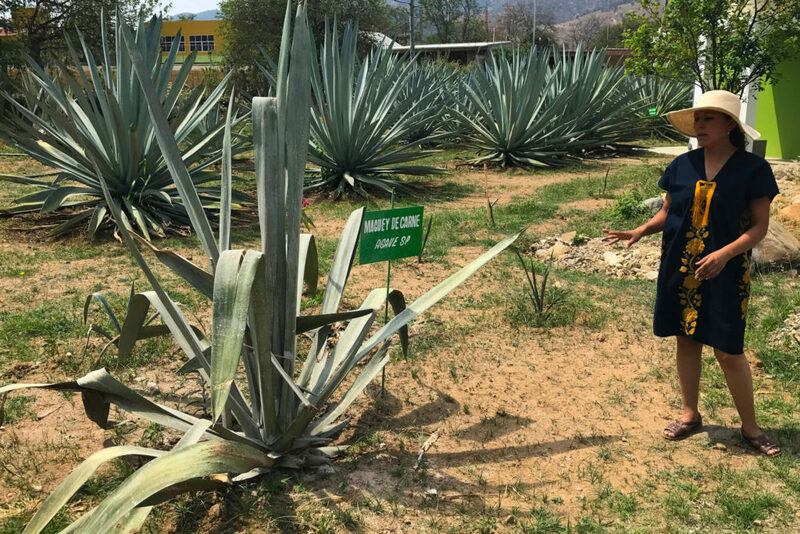 After the blue agave (agave tequilana) shortage of the late 90s, some tequila producers implemented sustainability programs to support their business goals, but another agave shortage is bound to happen again. Even now, agaves used for mezcal are being harvested prematurely without any thought of the future. Young boys, in seek of profit and oblivious to these issues, will comb the mountainsides around their towns to cut down prized plants like Agave Tobala prematurely to sell to local mezcaleros. The agave needs for the mezcal market are significantly smaller than that of tequila, but demand is exploding and mezcal producers need to prepare for the distant future. A few weeks ago, we had the pleasure of touring Mezcal Real Minero for an insider’s look at their process of maintaining and growing an agave supply that will sustain them for many years to come. Mezcal Real Minero is located in Santa Catarina Minas, an hour drive south of Oaxaca City in the Ocotlán District. We were accompanied by William Scanlan, chief “mezcalhead” and operator of Heavy Metl Premium Imports, the US importer of Mezcal Real Minero. Twenty minutes outside of Minas, William pointed at a field off the highway. 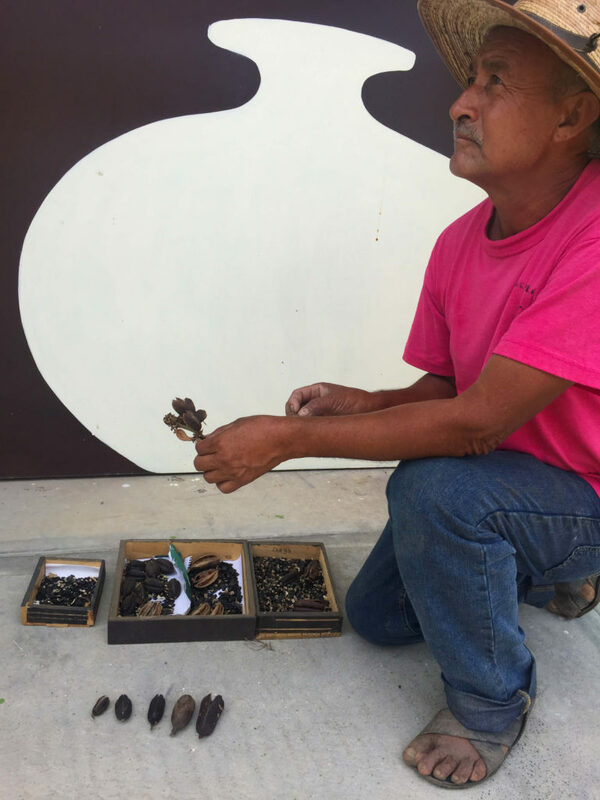 There was a small lot of large agaves, “those are Real Minero’s agaves, they are Blancos, a type of Agave Americana.. they’re almost ready,” he said. Soon, our van pulled off the main road and drove into “Minas”; we began to see even more agaves. Tall and slender agave karwinskiis lined the road and neatly lined tracks of agave espadin filled a few parcels of land. William said he had done this visit many times, but there was something new to see on every visit so here he was again. He was as excited as we were. Walking through the gate, we gazed upon a large green building surrounded by what appeared to be an agave botanical garden. Countless types of agaves were lined up in perfect rows, labeled with signs to identify their species. We were greeted by Graciela Angeles, general manager of Mezcal Real Minero and daughter of the late mezcalero Don Lorenzo Angeles. Graciela’s family has been making mezcal for at least four generations (that’s as far as records go back). She got down to business quickly and asked if we needed hats as she wore one of her own. We gladly put on some wide-brimmed hats as the sun bore down on us. The rainy season would start at the end of the month, we were told, and it was usually much warmer outside. We walked around the back of the building, slightly embarrassed by how unprepared we were to stand out in the sun. The first agaves on the tour were gigantic Arroquenos which, for an agave amateur like myself, can be confused with Agave Espadin. Arroquenos are from the Agave Americana family and grow much larger and take many more years to mature. Their pointy leaves (pencas) have a different shape and are a slightly different color than Agave Espadin. A recent batch of Real Minero Arroqueno mezcal was made from 20 year old plants! All of the Arroquenos had been planted around the same time yet only one had a bloom stalk (or quiote) shooting up from the middle of the plant. This was a good sign, soon they would be able to collect the seeds. And as nature would have it, the entire lifespan of agave serves one purpose: to reproduce. Agaves are succulents, not cacti (a common misconception) which can produce seeds seasonally after reaching a certain age. Agaves are quite different. Near the end of an agave’s life, the heart (piña) is at its largest and has the highest sugar content, and this is normally when the quiote is cut so the sugars remain in the piña for future mezcal. But here at the nursery, the quiotes grow high into the sky. Next, they will sprout flowers and bloom so they can be pollinated and produce seeds. Agaves rely heavily on bats for pollination in order to maximize the amount of seeds produced in seeds pods. At Real Minero, they can get well over a thousand seeds from each plant. In the wild, a single agave may produce less than five offspring from seeds due to forces of nature like animals feeding on seeds. Here, the goal is to plant every seed so they can produce genetically-unique agaves. Another method of reproduction is from clones that sprout up from the roots of the plant. In the wild, these clones will grow and mature very close to their mother plant. If you’ve ever seen a cluster of agaves growing on top of each other, this might be the reason for it. Lastly, agaves have a backup plan for reproduction in the form of bulbils that form on the stalk after the flowers bloom. These are also clones and can make their way to the earth by falling off naturally or when the stalk falls over as the base becomes frail. By this time, all the energy and sugar of the agave plant has been used in the reproduction process; its life has come to an end. Graciela discusses her Maguey de Carne plant which is extremely rare. In the background, agave espadin grow for seeds. As we continued the tour I looked around and realized that Graciela had seen many of these agaves grow up from seeds or clones and now many of them are sprouting quiotes and producing their own seeds. We looked at a Karwinskii agave called Tripon, which is slang for “pot belly” indicating its shape. This Karwinskii variety is local to Minas. One of the Tripon plants had a quiote so tall it was being supported by ropes to prevent it from falling over in the wind. As we approached another row of Agave Karwinskiis, this time Agave Barril, William turned to us and said, “if any of you can run through this, I’ll give you a free bottle.” We looked at the tightly-lined group of agaves which were over eight years old and briefly considered his challenge.. Nobody was getting through there. We learned that Madre Cuishe, another type of Agave Karwinskii, was named so because it acts as natural fencing around property lines and is the “mother” of crops in this way. Next, we continued by Agave Cuish which is a subspecies of the Agave Rhodacantha family in Minas (in other regions Cuishe or Cuixe is an Agave Karwinskii). These plants are normally in the ground for about 12 years before reaching maturity. 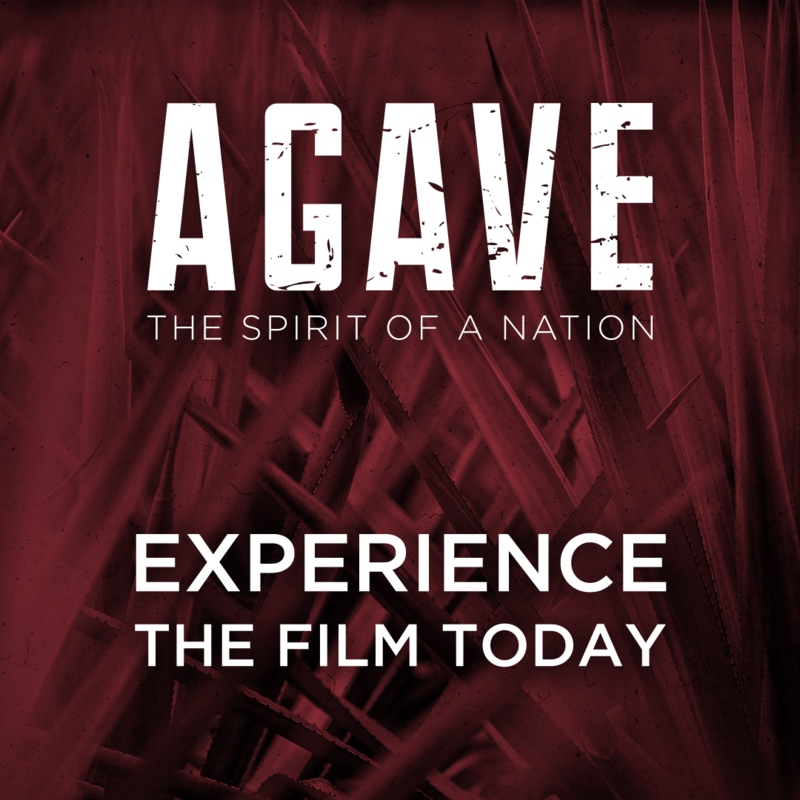 Graciela explained that her father, although he as a mezcalero, he had a true passion for finding and growing agaves. Growing up, he told her about different wild agave species that were rarely seen. One of those was Maguey de Carne which has long floppy leaves. Graciela managed to find one and is growing it in the nursery in hopes of getting the seeds and growing more. It hasn’t been used to make mezcal for many many years, if ever. Another agave I’d never heard of was Agave Coyota (not to be confused with Coyote) which is a hybrid of Agave Tobala and an Agave Karwinskii. As we made our way back to where we began the tour, we were led towards a young man packing plastic bags with dirt. He compacted the dark soil tightly into the bag and put it next to the others. An older man on the Real Minero team showed us a table of shallow but rich soil. This is where the seeds were planted and when they had two leaves they would be put into their individual dirt containers. He was experimenting with light conditions and moisture levels to make the seeds sprout faster. Once in bags, the plants are moved inside a large area protected by a net that keeps insects and animals out. Here the plants are protected while they are small and vulnerable. Once large enough, the plants are moved to nearby fields where they will stay until harvest. Some of the agaves, like Agave Tobala, are taken to higher altitudes in wooden areas which closer resemble their natural habitat. This is the concept of “semi-cultivated” agave and will gain importance as 100% wild agave becomes endangered. Walking around the tent, we noticed that some plants didn’t appear to be agaves. “What are these? !”, maybe some magical type of mezcal was being invented here? Nope, there were trees being grown from seed. Some would be future fuel for stills during mezcal production. Others, like fruit trees, would be grown among agave fields and elsewhere on Real Minero land to promote biodiversity. Before leaving the tent, Graciela picked up a small red container near a row of tiny plants. She held it up for us to smell. Wow, if only we had some tortilla chips.. it smelled and looked like fresh salsa! It kind of was, we learned. This was a natural pesticide they were experimenting with; it contained garlic, chilis, cinnamon, and other ingredients that would protect the plants from bugs. After leaving the partial shade of the nursery tent, we had one more stop. Our stomachs growled a bit (for mezcal?) and we applied more sunscreen. Once again we passed the large Arroqueños and then ducked into a small open-air shelter. Here a huge pile of compost was being made… or was it? The older man on Graciela’s team had something else to show us. He revealed a drainage system had been built underneath the compost pile. Worms inside the pile were “excreting” precious vitamins that could be used as plant food. It’s hard to not be impressed by Real Minero’s efforts to harness the tools of nature to keep their nursery healthy. Graciela seems to have created a culture among her team that encourages new ideas. Though their mezcal is organic by definition, these practices aren’t done to get a fancy certification label on their bottles. She is committed to continuing and improving these techniques over time because they will enable Real Minero to produce healthy agaves (which will be used for great mezcal). This was our first trip to Oaxaca to learn about mezcal and it’s easy to forget that many naturally wild agaves in Oaxaca and even around Santa Catarina Minas are being harvested with little care for the future. Sometimes the agaves are harvested prematurely and made into mediocre mezcal; the bottle can be labeled 100% Agave Tobala regardless of the plant’s age. 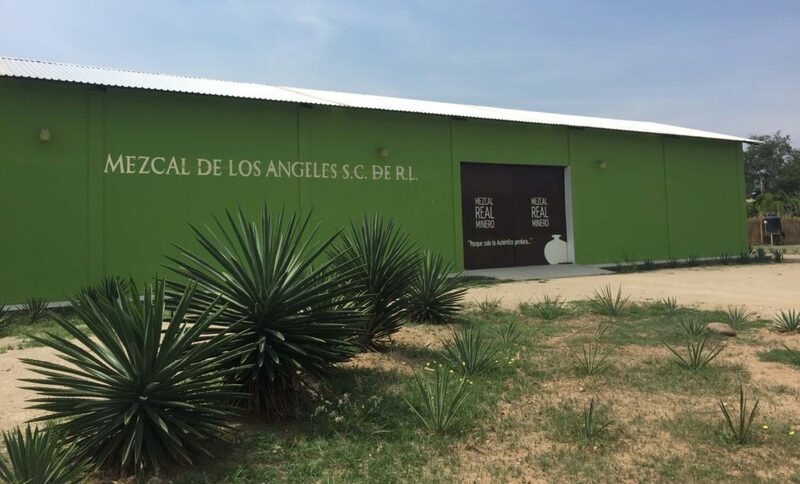 In other places, enterprising mezcal producers will buy agaves from landowners, eager to cash in on the current boom, with no plans to put a portion of their profits towards a reforestation effort. 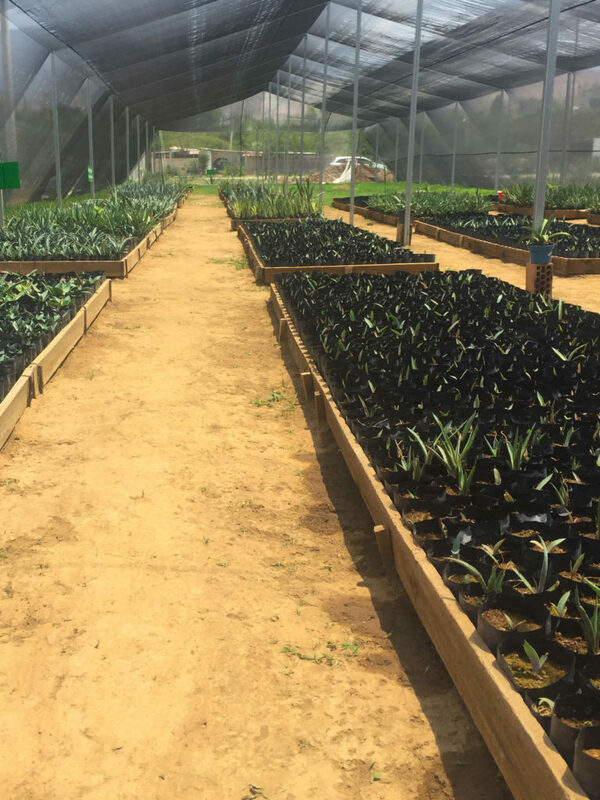 This is not to say that Mezcal Real Minero is the only company with an agave nursery program, it certainly isn’t, but the program we were fortunate enough to witness certainly is special in the mezcal business. The entire tour lasted a few hours. Afterward we made our way with Graciela down the road to the Mezcal Real Minero palenque (read the blog post). If we all spoke perfect Spanish the tour would likely have gone faster.. although with perfect Spanish I would have asked even more questions, so maybe not! I wish I could share every detail here, but I spent more time gaping as incredible agaves instead of taking incredible notes. One thing that really struck me was that this part of our day with Mezcal Real Minero was the longest and most fascinating. The mezcal making process was incredible as well but growing healthy agaves seemed to be the biggest challenge and passion for the company. Graciela, like her father, appears to be an agave enthusiast. She has patience and is planning for the future. Like a good chef, she knows that recipes must start with the best ingredients. This is the first and longest part of the near decade-long process of making great mezcal and Mezcal Real Minero is doing incredible work. Read about our Mezcal Real Minero distillery tour and tasting. If you’d like to read more about sustainability in the mezcal business, read our previous blog. Excellent. I would love to make Mezcal. 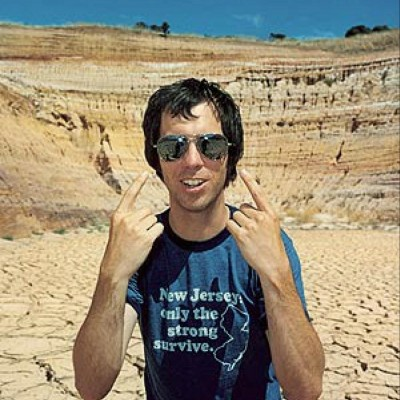 How would one go about doing this tour and experience? Great write-up! This piece in particular is special to me, because I recently took a tour of Real Minero and greatly regretted not taking notes or video of what I learned. I mostly focused on taking pictures and drooling over all the agave. I can use this as a reference for my experience. Thanks for posting!